One can never have enough books, so let’s look at all the new goodies we can buy THIS month. We’ve had a fantastic run of amazing releases latetly, and January certainly isn’t letting us down. There are a SLEW of great reads coming our way – so ready your purses: it’s time to shop. 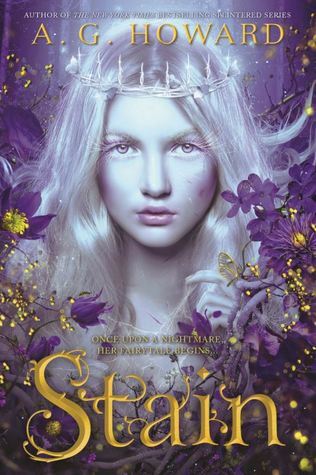 This is the sequel to The Cruel Prince (which you definitely need to read if you haven’t yet). I’ve got my copy, have you? I’m hearing a lot of good things about it too, so I can’t wait to dive into my copy VERY soon and find out what happens next! There is a crazy amount of excitement of this book. And you know what? I can’t wait either. 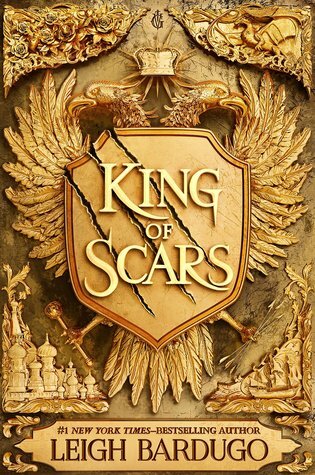 Everyone loves Nikolai from the Grishaverse so I’m stoked we’re getting a whole book/series from his perspective. Expectations sure are high for this one. I was super excited to receive a copy of this for review in the mail, and I seriously cannot wait to read it. There’s been a fair bit of hype over this one, too, so make sure you don’t miss out. It’s set in Paris in 1889 and our main character is basically on a quest to find some ancient artefacts. Sold? I think so. This sounds very intriguing. 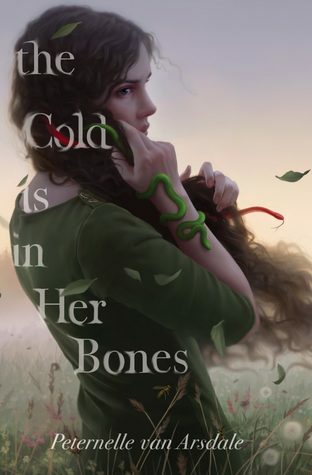 I’m getting some Iron Fey vibes from the blurb – to fall in love is to break the curse, but every autumn the prince turns into a vicious beast. A mortal girl (I assume) is sucked into this magical world and I’m so excited at the prospect of where this will go. I feel like this one desperately needs a cover redo, but the premise still sounds very interesting. It’s centred around two sisters who find themselves battling against each other on the opposite sides of a war. They’re both princesses to an empire, but instead of being declared heirs one of their male cousins is. The sisters go down different paths and we get shapeshifters and magic, woo! Isn’t that a nice cover? I’m very interested in this one because one character sounds like a super ninja and the other sounds like Mr. Incredible. They’re both apprentice warriors and marked by the gods to be trained in magic. Woah, does that get any more interesting?! 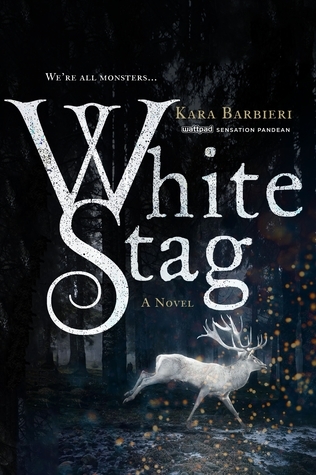 I am SO excited at the prospect of a new Kiersten White book. This woman is an amazing writer and she’s swung from Vlad the Impaler (alternate historical fiction) to Frankenstein retellings to now vampires. Is there anything this woman cannot write? This book literally includes Buffy too. I’m excited. Now here’s a curious release. We have an anonymous author and a terribly hard-to-read cover. But I’m intrigued. This is about the ‘circle of time’ where everyone relives the same life, over and over again. This has got quite a few things going for it, I’d recommend reading the blurb yourself to digest it. 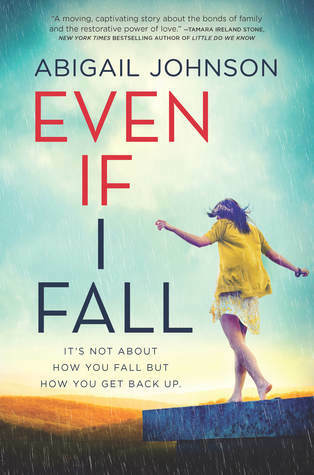 This is another one I’ve been sent for review and I’m itching to pick it up. 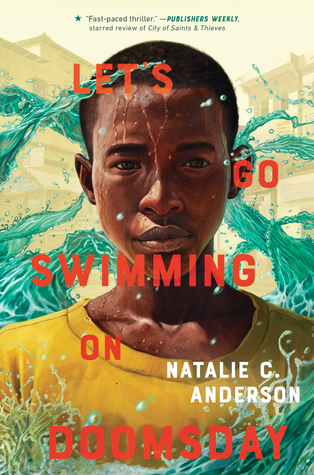 I love the cover, I love the title and I’m excited by the premise. It’s all about a girl who finds herself more monster than human (and then I stopped reading the blurb because I’m sold on that). 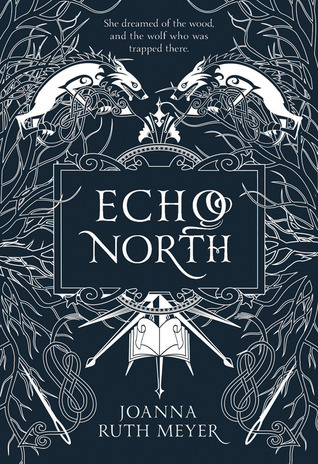 So, this blurb basically sets the scene by telling us our MC’s father dies but then six months later she finds him frozen and being guarded by a wolf. And all my alarm bells for some Narnia vibes are ringing right now. It’s also based on a fairytale I’m a fan of where a beast basically makes a deal for a girl to come live with him for a year blah, blah, blah – just hand me the book already! 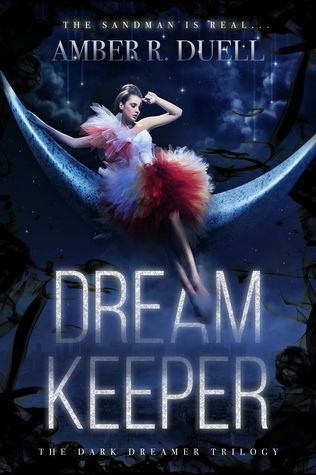 Howard is one of my favourite authors and I’m really excited that we’re not only getting another book from her but another fairytale retelling. This one is based on The Princess and the Pea and honestly? 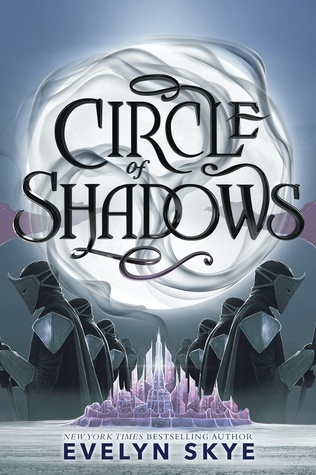 There are never enough retellings of this. 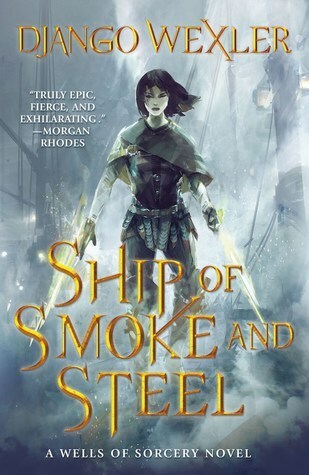 It also pleases me greatly how in-sync this cover is with her other books. 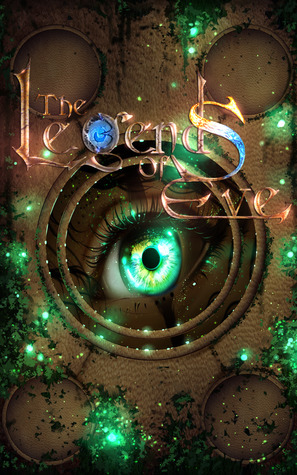 So this one is a paranormal fantasy and is about a village where a demon randomly possesses the girls in it. Then the demon comes for our MC so she leaves home to try and break the curse forever (except then she discovers she might be part-demon herself). OH THE TWISTS. This one seems to have a lot of hype and praise around it (but another atrocious cover, what’s with the January covers?) 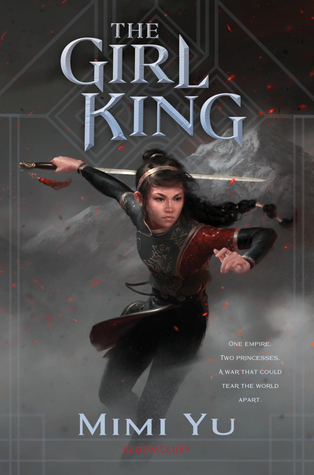 This is set in an empire and our MC has the ability to access the ‘Well of Combat’ which is something she should have declared to the empire . . . but didn’t. So when they find out about this she’s sent on an impossible mission to steal a ghost ship. I’m SO keen for this! The reason this one is on my list is because of the opening plot line in the blurb: the MC’s best friend is the Sandman. We do not have anywhere near enough (any???) books about the Sandman – and Rise of the Guardians (the movie) has me wanting more. In this book, people start mysteriously dying gruesome deaths in their sleep and it’s all the handiwork of the Nightmare Lord. Like, can I have this already!? Now here’s an intriguing plot! This one is set in a historical setting revolving around a poor family who can’t turn down the offer for their son to take a position as a bookbinder. There seems to be some superstition around this profession and MAGIC. He eventually finds a book with his name on it and DUN DUN DUNNNN. Everything changes. This is set in special boarding school and six clones turn up one day – one being the exact DNA replica of one our MC’s besties. She ends up becoming more involved with them and honestly? I don’t really understand what the plot is for this book but I’m definitely interested. Yay! A historical fiction release! This one is set in 1918 (in England? America??) and follows a female MC. 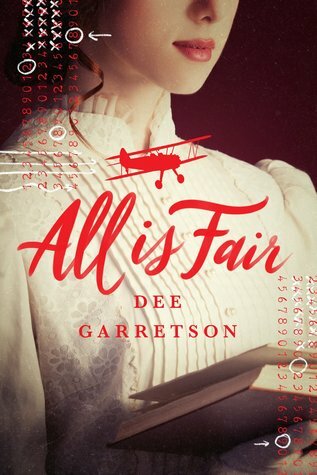 Our MC receives a coded telegram with instructions of where to go and she meets an American who she is to work on a secret mission with for the war effort. Another war historical fiction but this time set in Poland and 1940. Our MC ends up fleeing to Shanghai (which is a deliciously unexpected plot twist already) because they accept Jews without visas (I’m already learning stuff). 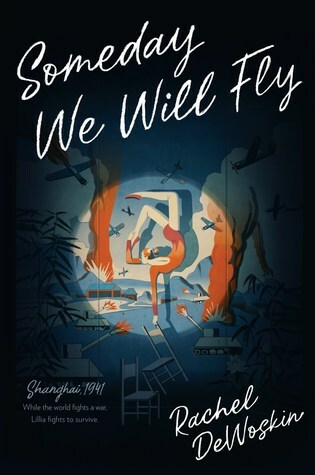 I’m super excited to read it because between 1937-45 Shanghai was occupied by Japan (bad guys in WWII for anyone who’s not a history nerd) and in 1941 things started going south for foreigners taking refuge in Shanghai. So this book is set in a really interesting period. I already have my copy of this one because I was sent a copy for review and it sounds very interesting. The MC’s brother confesses to the murder of his best friend but then the MC (his sister) finds herself hanging out more and more with the dead guy’s brother and it’s all very emotionally confusing. This one sounds like it’ll be a fantastic read and utterly different to anything I’ve read before. It follows a Somali refugee who becomes a child soldier. Go have a read of the blurb yourself and then add it to your list of books to read. 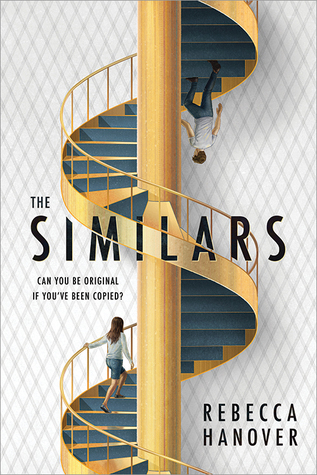 The plot of The Similars just blew me away. This is definitely the book I am interested in. 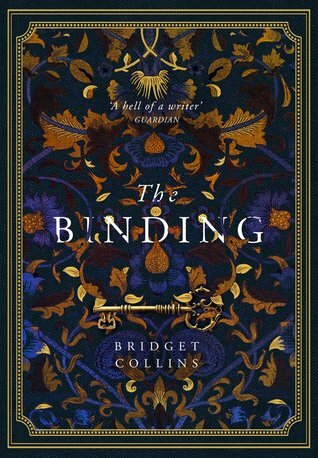 The Binding sounds absolutely amazing. How has it not come across my timeline before! And the cover! Damn. I know!! I’ve heard almost nothing about it but I 100% need to read it! It is very compelling. I’m hoping I can grab it soon. 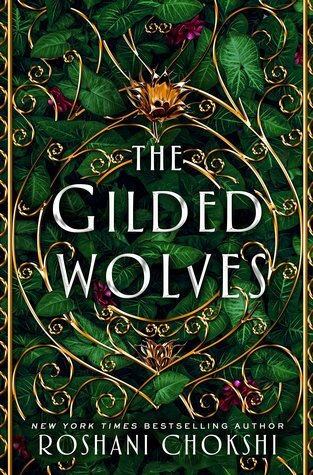 I kept telling myself that I didn’t want The Gilded Wolves, but now I keep seeing so much hype about it, I’m so tempted!! I am weak. 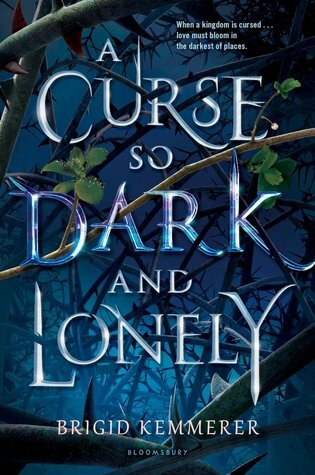 Also super excited for A Curse So Dark and Lonely! Haha the hype is mega over that book! I’m certainly looking forward to picking it up myself. Yay! Awesome! There are just so many to look forward to. Thanks!! These all sound so good!I really want to read A Curse So Dark and Lonely, The Gilded Wolves and The Wicked King! I know! It’s amazing how many good books are coming out! 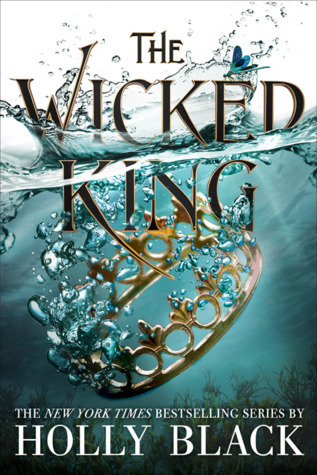 I’m super excited for The wicked King and The Gilded Wolves! Since I’m not buying new books this year, I’m sitting on hold at my local library 😭 I’m high on the list, so I hope to get to them both in the next few weeks. 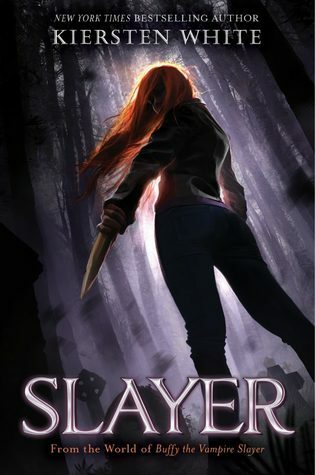 I adore Kiersten White BUT I never watched Buffy and am over the vampire thing. I’ve heard that it’s best if you’re a fan of Buffy fans….